Two M 777 A-2 (Indian) ULH arrived today for preparation of firing tables. During this event, the guns will fire 155 mm indigenous ammunition. The weapon system was contracted on 30 November 16. As per the contract agreement firing tables are being prepared by the contracted agency i.e. US Government and BAE GCS Ltd with support of Indian Army. After firing tables are ready, three more guns will be received in the second stage in September 2018 for training. Thereafter, induction will commence from March 2019 onwards at the rate of five guns per month till complete consignment is received by mid 2021. 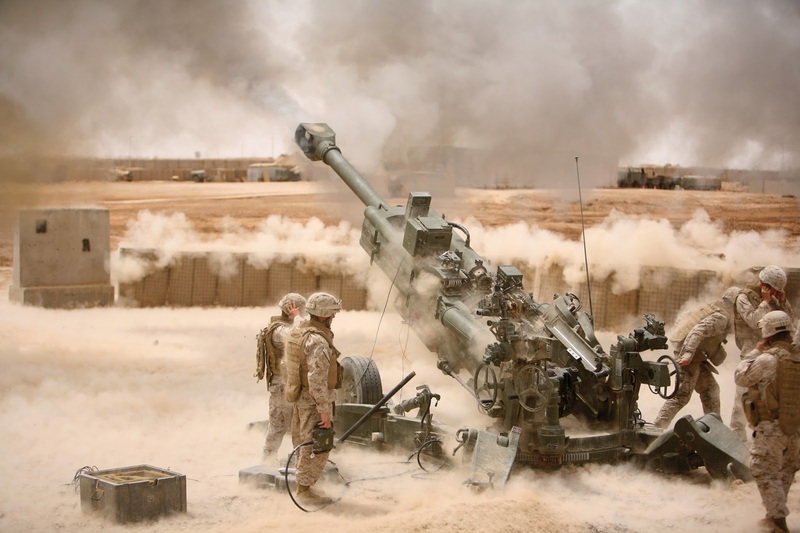 Facts: The 39 calibre M777 sets the standard for modern, reliable fire support in the most hostile environments. lightweight and portable, it is Battle proven through five years of continuous operations in the South WestAsian theatre.Mobile forces require quality systems that are quick and easy to transport. Through the innovative use of titanium and aluminium alloys, the M777 is rapidly deployable and consistently accurate. Highly portable by land, sea and air, the system features a minimal logistical footprint alongside maximum reliability. This means that it can be frequently moved and re-deployed, maximising survivability, without encountering the IED risks that self-propelled systems face. The weapon can strike over extended distances, regardless of terrain and obstacles. It is compatible with all standard ammo types, as well as advanced rounds such as BONUS and EXCALIBUR. Its strengths have been proven in battle, particularly in Afghanistan where it has been in service since 2006. Over 40,000 rounds fired have proven its simple, dependable operation, even in harsh desert climates. Development (EMD) programme in the USA. This led to an initial contract in 2002 and current requirements in excess of 1,200 systems.